I was inspired to create the Holistic Filmmaking workshops from my interactions teaching independent filmmakers, aspiring and professional, from around the world. Whether it's in Los Angeles, Burma or Paraguay, we all face similar challenges when making an independent film: how to develop our ideas, where to find financing, how to deal with rejection, staying motivated through the process and how to get your film out into the world. The Holistic Filmmaking workshops will help you shift from creating from a place of paralyzing confusion, perplexing fear and false scarcity to a place of lucid clarity, grounding courage and universal abundance. During the 4-week workshop you will learn the invaluable steps to making a documentary film from idea to distribution. From the secrets to writing a successful grant proposal to developing your own self distribution plan, you will learn the tools that I've used for over a decade to make my films and get them out into the world. Still, I believe learning the mechanics of how to make a documentary is not always enough. We must also learn how to break through the false fears and confusion. That's why in the workshop you will also learn how to use mantras, meditation and visualization methods as invaluable tools for making your film a reality. Anayansi teaching editing to students. Yangon, Burma. The Holistic Filmmaking workshops are meant to be more than a class, they are an opportunity to form community and support each other through the process of making a film. Because of this the workshop is limited to 6 participants. All participants must have a project idea (at any stage) that they want to workshop. Time: 7:00 p.m. - 10:00 p.m. Interested? Fill out the form below and we'll get back to you in 1-2 days. 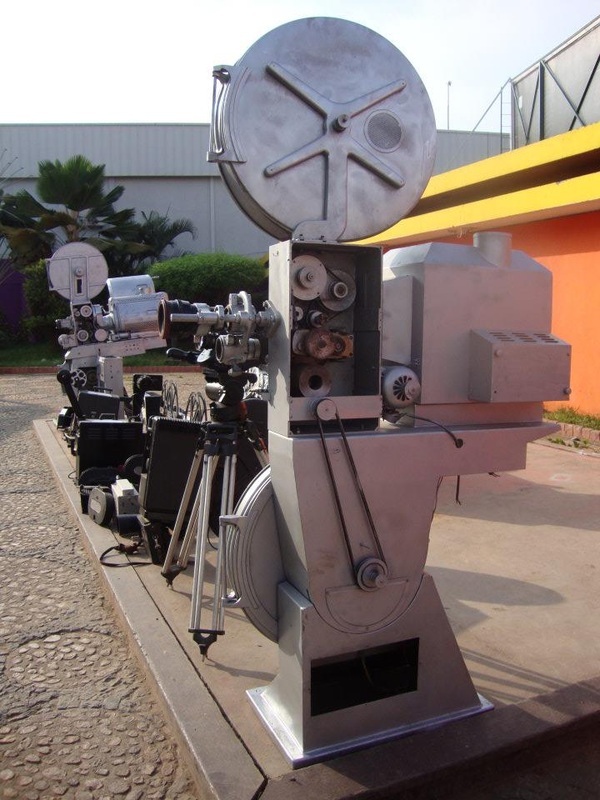 Old film projectors displayed at The Luanda International Film Festival. American Documentary Showcase, Angola. Each workshop will run a total of 3 hours including instruction, interaction and feedback. During each of the 4 weeks, we will tackle an different aspect of producing a documentary film.